Occasion: Presidents Day. 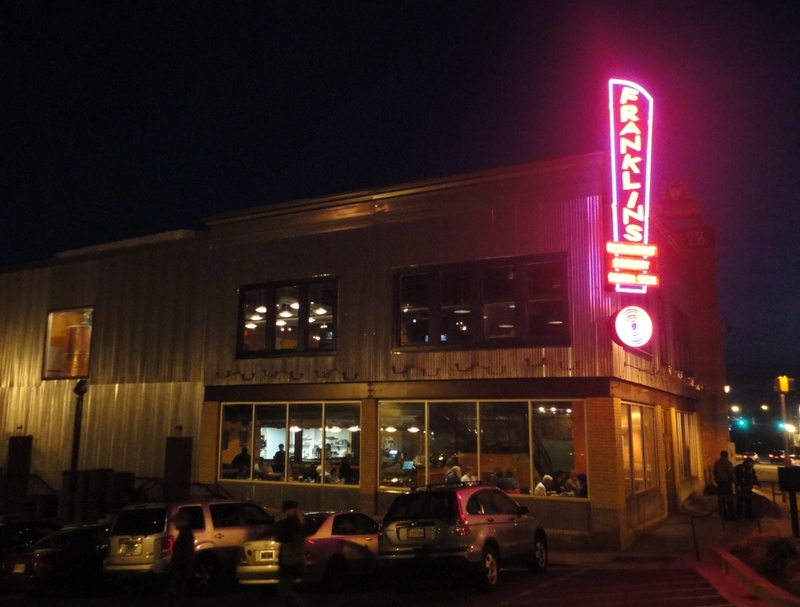 After a crazy-busy three-day weekend we crossed the last thing off our to-do list and rewarded ourselves with dinner out at Franklins. It had been over two years since our last visit – way too long! 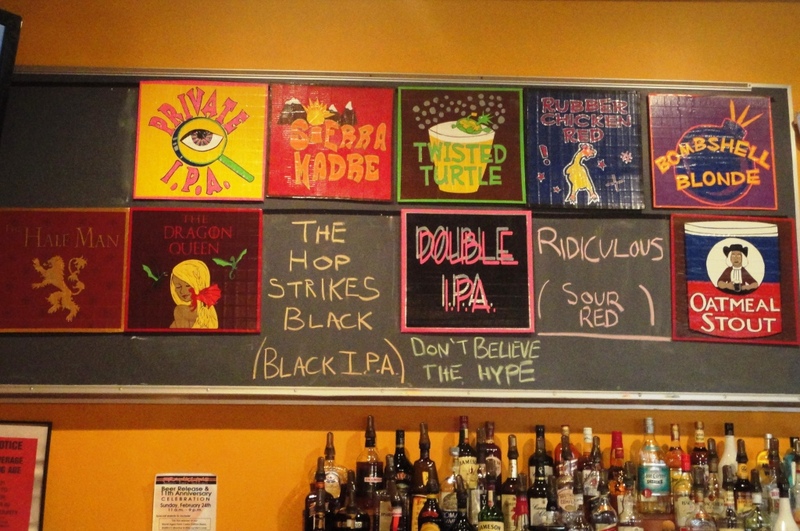 Beers Sampled: There were 11 house beers on tap and I ordered the generous sampler. Filled my Growlers with: Rubber Chicken Red and Twisted Turtle Pale Ale. I loved the unique and hoppy brews on the Franklins beer menu but we usually go with easy-drinking session beers that Beth and I both like for our growler fills. I was most impressed with: Everything – everything about the Franklins experience is superb – the atmosphere, menu, food, beer, service, and general store. The general store is the best! For more about what makes Franklins special, see my posts Franklins and Franklins, Part II. Happy 11th Anniversary to Franklins! Wish I could join you for your 11th Anniversary Party and Open House on Sunday, February 24.